Located on the South Central Coast of Vietnam, Nha Trang, a capital city of Khánh Hòa Province, is also known as the Riviera of the South China Sea. 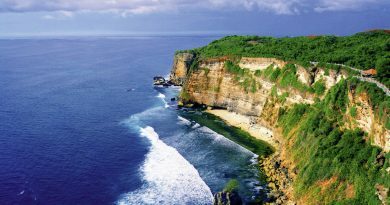 A six-kilometre beautiful coastline with pure white sand beaches, crystal clear waters is the typical scene there. Nha Trang has myriad of marine life and thriving reefs, lush mountains as well as 19 unspoilt islands not far from the coast. It offers abundant sightseeing and activities. Apart from scenic nature and recreational activities, Nha Trang has several stunning architectures that date back to the Champa Kingdom, Buddhist temples, and gothic-style Catholic churches, as well as natural hot springs, salt fields, and particular waterfalls. As it is on the coast, Nha Trang restaurants will serve you with fresh seafood. Along the pristine beach, you will enjoy the bustling bars and pubs and the breathtaking scenery of sunset over the East Sea. Travelling at Nha Trang, you will enjoy everything from the white sand beach, crystal blue sea, and picturesque historical constructions to scrumptious seafood.